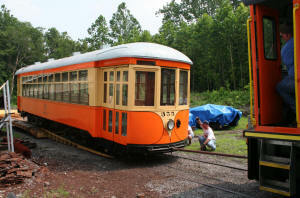 Recently at the Rockhill Trolley Museum, a major milestone has been reached in the multi-year restoration project to return Johnstown Traction Company 355 to its former glory. 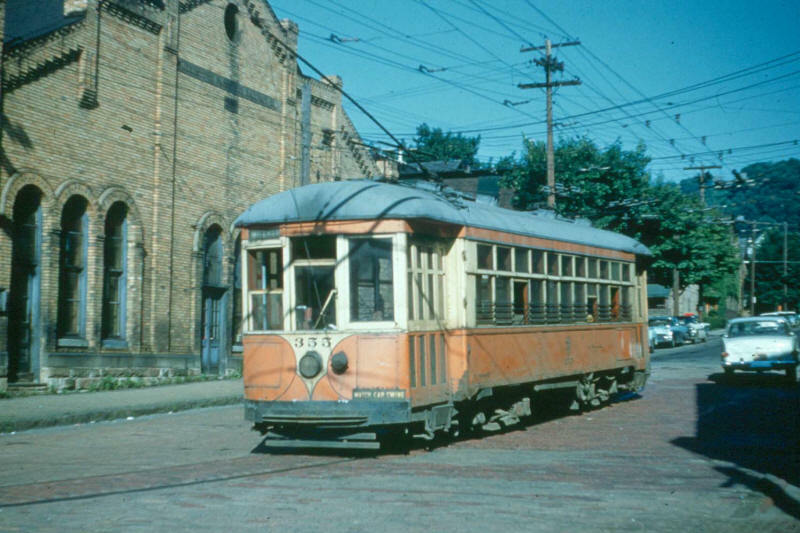 JTC 355 operates in Johnstown on June 11, 1960, the last day of operations. G. Salomon collection, all rights reserved. Departs Rockhill Furnace for Ebensburg on March 31, 2005. J. Salomon photo. 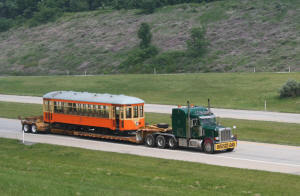 On July 20, 2006 after 16 months offsite for contracted restoration work by Lyons Industries in Ebensburg, PA, JTC 355 was loaded and trucked by Silk Road Transport back to the museum site in Rockhill Furnace PA.
Emerges into the sunshine as crews from Silk Road transport, Lyons Industries and the Museum load the car in Ebensburg. All remaining photos by C. Kumpas, all rights reserved. Moving along on US 22 near Horse Shoe Curve. While Doug Weidman operates the museum&apos;s 25 ton GE Diesel, Matt Nawn insures everything is looking good as JTC 355 returns to home rails. 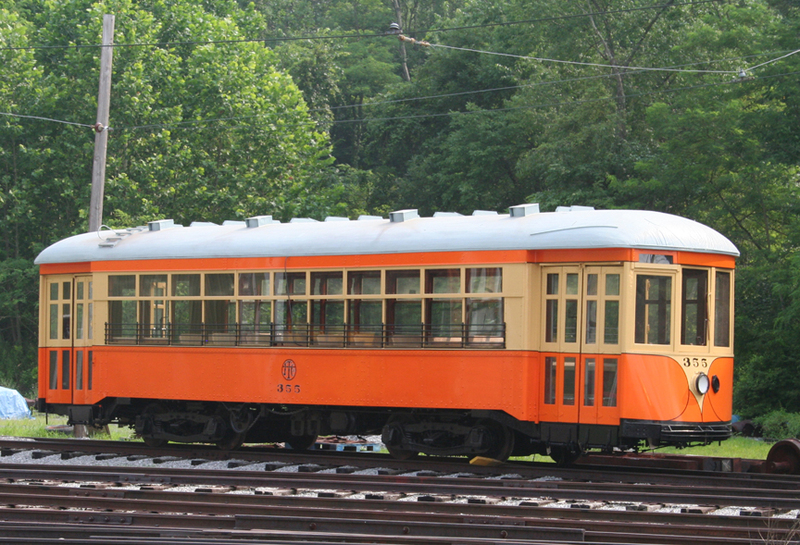 After some switching moves, the trolley is ready to go inside the museum&apos;s car barn after a very long and hectic but most fulfilling day. 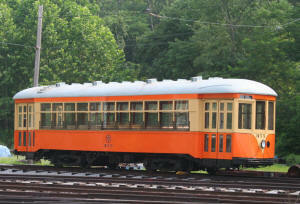 Some detail work and a full testing regiment remains to be completed by the museum&apos;s volunteers before the streetcar is ready for public service on the museum&apos;s scenic demonstration railway. 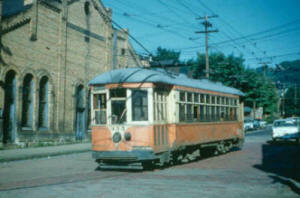 Anticipated project completion and rollout is tentatively scheduled for the spring of 2007.